WASHINGTON, D.C.—Former United States Ambassador to the United Nations John Bolton warned on Breitbart News Daily Thursday that a potential electromagnetic pulse (EMP) attack from North Korea “absolutely is a threat” and suggested considering military action against Pyongyang. 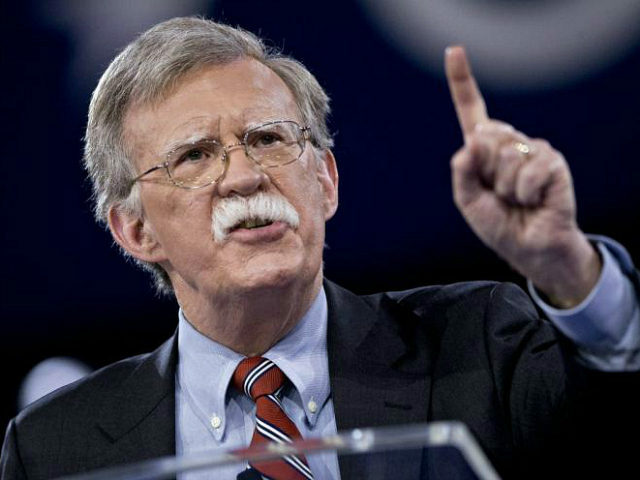 “A high-altitude nuclear detonation that could bring down a substantial part of the electrical grid of the United States, at least in particular geographic regions, would have a huge impact on us,” Bolton told Sirius XM host and Breitbart News Editor-in-Chief Alexander Marlow. A successful EMP attack would overheat vital transformers and ultimately take out that region’s electric grid, leaving the population vulnerable to cyber and physical attacks. The lives of large swaths of the population would be at great risk. The United States is not prepared for a potential EMP attack against it. The GRID Act and SHIELD Act have been sitting in both the House and Senate but no progress has been made in passing them. Center for Security Policy President Frank Gaffney also discussed a potential EMP attack with Marlow on Wednesday’s Breitbart News Daily. For the first time, North Korea has openly threatened to wage an EMP (electromagnetic pulse) attack against the United States. Although North Korea threatens to wipe out the United States on a regular basis through its state media, this is the first time the closed-off country has openly threatened to use an EMP weapon. People say, but my goodness if you use a military option, terrible things will happen on the Korean peninsula. And I agree that this is an enormous concern and we would have to do everything possible to mitigate that. But these same people also say, well of course if North Korea attacked the United States, then we should respond with devastating force, which would likely have the same consequences in South Korea.